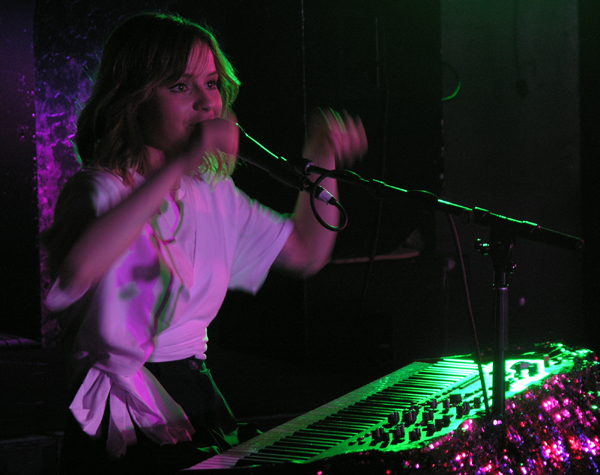 This past Saturday night, 2/24/18, I had the opportunity to check out the English pop/folk singer/songwriter Gabrielle Aplin in concert for the first time at The Middle East Downstairs in Cambridge, MA. Simply put, she was fabulous. 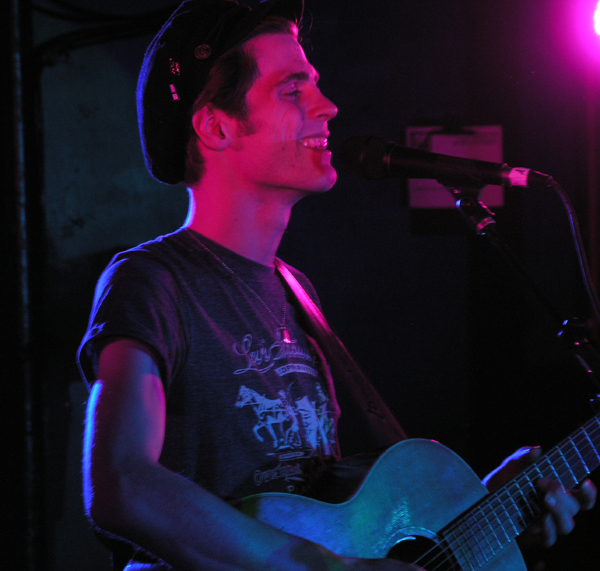 The same can be said of her opening acts, Hudson Taylor and John Splithoff. All three put on A+ sets, making it one of the most memorable shows I’ve ever been to. 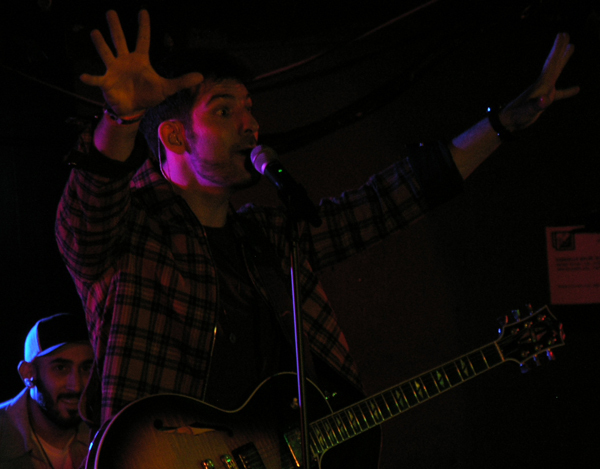 John Splithoff, a native of Chicago, now resides in New York City, which may be why his 2013 EP was called The Move. It’s my understanding that John has shifted gears from singer/songwriter rock to songs with more of a soulful pop vibe and electronic feel. 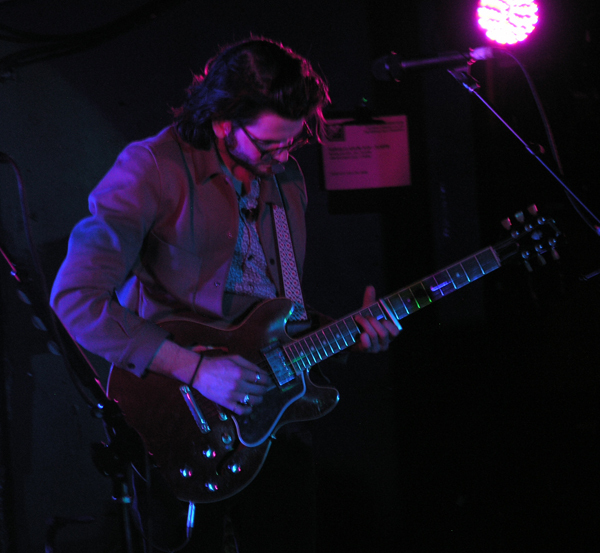 This made sense at the show, which found him starting off with subtler numbers like “Make It Happen” and “Vices,” which seemed to blend folk with rock, but as his set went on, the songs gradually grew more and more pop-influenced. I thought all of his songs were great, but I will admit that I found newer tracks like “Stepping Stone” and “Show Me” to be the liveliest, if only because they had heavier beats. Normally, “Show Me” is a duet John made with Madison Ryann Ward, but he sang the whole song himself Saturday night and it worked just fine solo. If he hadn’t mentioned that it was a duet, I never would have suspected as much. Another highlight was a brilliant song called “Raye,” which, he explained, he’d written about a good friend who’d passed away. The lyrics were especially sweet and emotive and the melody and music suited them perfectly. John’s full-bodied sound was comprised of his own impressive guitar playing – lots of his songs ended with short but scorching solos – along with live drums and a keyboardist who also played along to the heavier songs with some sort of a small drum machine. 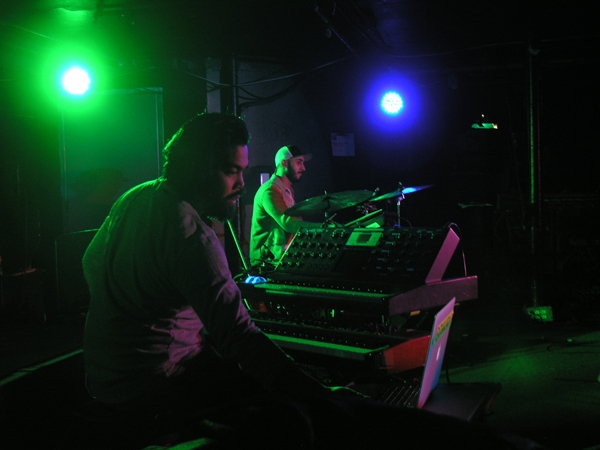 There was no bass guitar performed live, but the electronica-style keyboards more than made up for it. The last song he did, “Sing to You,” was a veritable banger. If the studio version is as propulsive, the four on the floor track could climb the dance charts easily. That said, it seemed a little out of character, compared to his other songs, but it was no less enjoyable and had everyone in the club bouncing up and down and dancing. Whatever sound John’s next release has, I’m sure it will sound fantastic and I’ll definitely be on the lookout for it. 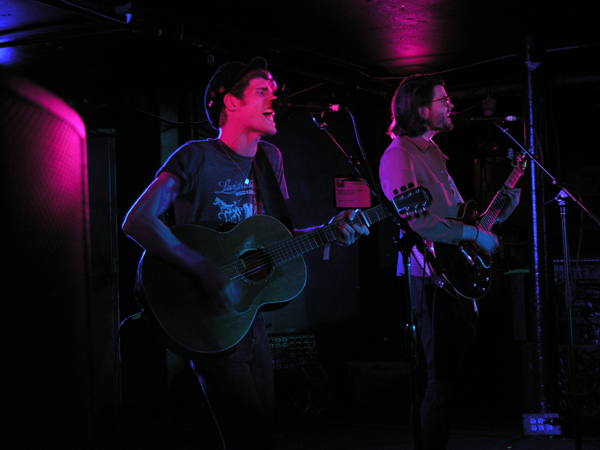 Hudson Taylor is comprised of brothers Harry (with the Jon Snow beard) and Alfie (the James Dean lookalike) Hudson Taylor, who both play guitar and sing. Usually at the same time. In fact, the two played their set Saturday night without a single other musician on stage. Their beats were generated by a drum pedal that Alfie kept hammering away at with his foot and you never would’ve guessed that there wasn’t a drummer on stage with them if you were blindfolded during their set. The Irish Americana-pop duo’s set focused on songs from their forthcoming EP, Feel It Again. Compared to their earlier material, the new songs have a fuller sound and are much more electrifying and went over best live. I also felt like their older songs were more vibrant in concert compared to their studio recordings. To that end, they played electric guitars for most of their set, only busting out the acoustics for one song, the dreamy, swirling “Old Soul,” which was especially touching. Other songs, like the perky “Feel It Again” and the joyful “Run With Me,” had them holding the audience in the palms of their hands. Looking at the crowd from time to time, I saw lots and lots of big smiles and wide eyes. The charismatic brothers even managed to get the audience to sing along to most of their songs, which is no small feat considering that most of their new songs haven’t even been released yet. Then again, their choruses never fail to be memorable and catchy, so you only needed to hear them once and you could sing them every time they reappeared during the songs. The ironic thing about Hudson Taylor is how their songs are mostly uptempo earworms, yet they often have lyrics that are surprisingly dark, like “Your fear has now come true,” “I will break your spirit” and “If we’re all just cynics on the run, come undone.” Mind you, I love it when artists mix lyrics like those into songs that don’t sound the least bit melancholic. First you get them addicted to your tunes, then you give them something to think about. In any case, Harry and Alfie delivered an enjoyable performance and proved themselves to be great entertainers. 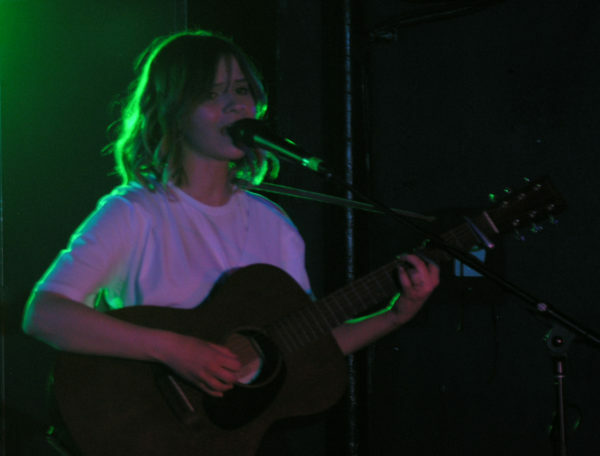 Gabrielle Aplin has been one of my favorite singer/songwriters ever since I first heard her album English Rain in 2013. Or had I heard one of her EPs a year earlier? OK, so my memory is admittedly lousy, but it was one or the other and I thought and still think she’s nothing shy of brilliant. And that’s exactly what she proved herself to be, song after song, Saturday night during her career-spanning set. She kicked things off with a stripped down rendition of “Night Bus” from her gorgeous new Miss You EP. 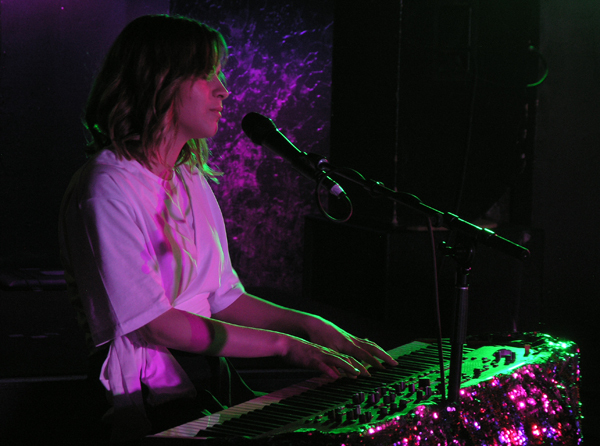 The album version features massive pop beats, but she simply performed it with an acoustic guitar Saturday night in Cambridge (Boston’s sister city), where she was performing for the first time. (She joked that she has “three Boston terriers,” but that was her only connection to Boston previously, which everyone thought was hilarious.) Up next was one of her most popular singles, “Panic Cord,” which had most of the audience singing along, much to Gabrielle’s delight. As the evening went on, she often encouraged the audience to sing with her. Occasionally, she’d just stop singing and let the audience sing a chorus for her, blushing after one such instance. 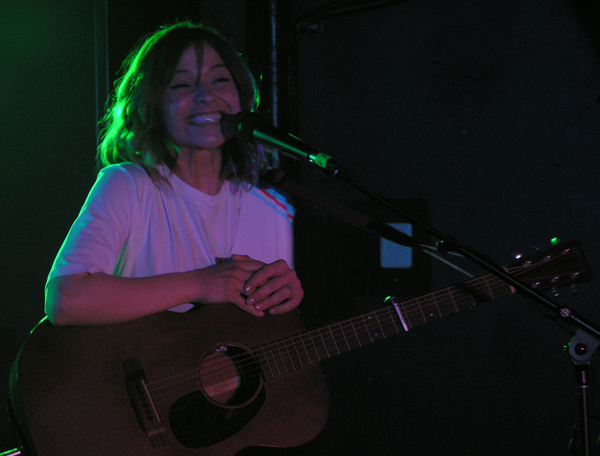 She seemed very modest and happy that anyone showed up for her show at all. Her mind was blown by the fact that there was too much demand for The Middle East to have her perform in their small room that is Sonia as originally planned. 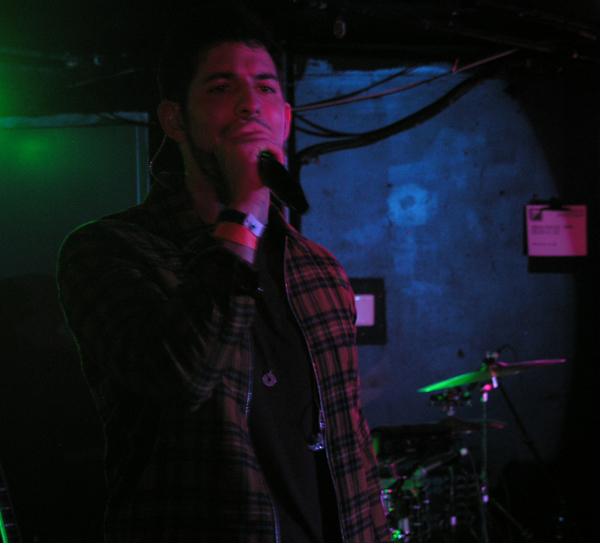 Instead, they had to move the show to their largest club, The Middle East Downstairs, and it sold out just the same. 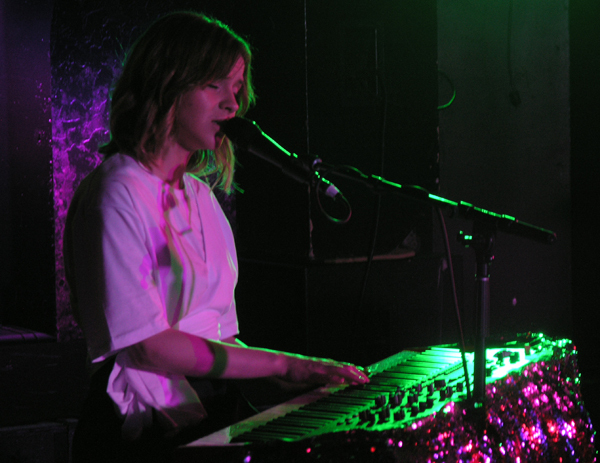 Next up was “Heavy Heart” from her sophomore effort Light Up the Dark. 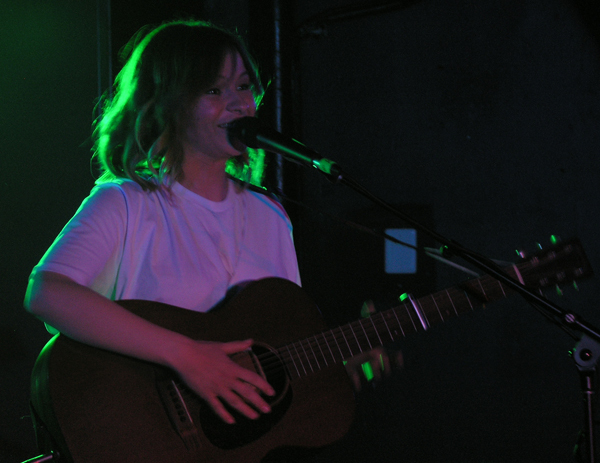 On the album, it almost has an R&B vibe, but it sounded like pure folk as Gabrielle performed it with one of her guitars. The breezy “How Do You Feel Today” followed. It’s a heart-warming song, but it sounds a bit melancholic if you listen to the music without paying attention to the lyrics. “Salvation” followed and surely had the audience feeling like Gabrielle was leading them to their own as she sang with her ethereal voice, which was sometimes light as a whisper. What I love about her voice is how it has this vulnerable quality to it when she’s singing something really emotional, particularly the ballads. It fits her songs perfectly, as she is always wearing her heart on her sleeve, a veritable open book with nothing but the truth between her and her listeners. 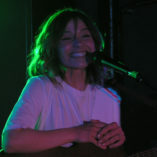 Midway through her set, she brought out Hudson Taylor to sing a couple of songs with her. The first was her song “Coming Home,” which has a very American folk vibe to it. The three sang it together, their voices blending perfectly, calling to mind the great harmonizing of The Beach Boys. Then she asked the audience to be quiet so she could sing without the mic for one song and the three of them stood at the very front of the stage and delivered a sweet rendition of Crosby, Stills, Nash & Young’s “Helplessly Hoping.” The entire house was so silent you could hear a pencil drop, save for the three’s voices. You also had to be moved by “Please Don’t Say You Love Me,” which the audience clearly knew every word to, singing along from start to finish. Other highlights include “Stay,” “Miss You” and the set-closing “Home.” Every song was enjoyable, though! An entertainment journalist for 20 years, Michael McCarthy was a columnist and contributing editor for the magazines Lollipop and LiveWire. He co-created and wrote for Cinezine, one of the '90's most popular movie E-zines. The only time he's not listening to music is when he's watching television shows and movies or reading, usually music magazines. Gabrielle is so pixie like. I love her. The picture of her with the big smile is heartwarming. Paris365, thanks! And thanks for sharing your great posts every week!